Thanks for your interest in Kuesa. Please write your message here and we’ll get back to you as soon as possible. 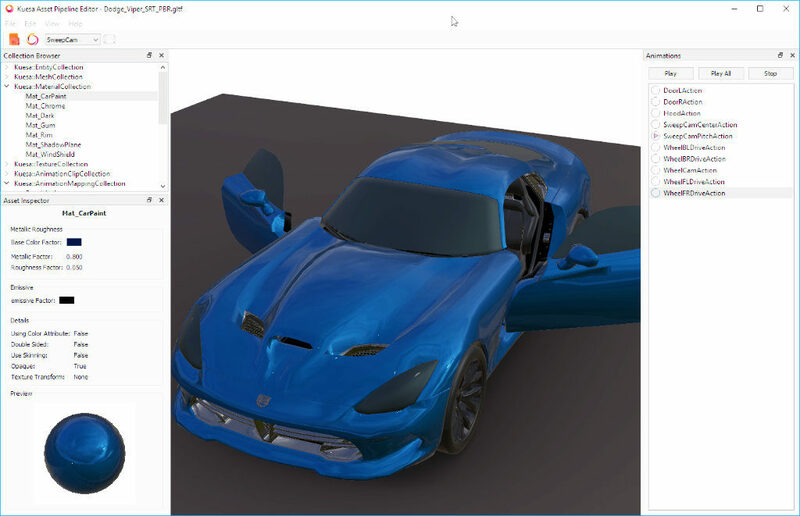 KUESA™ is a solution that provides an integrated and unified workflow for designers and developers to create, optimize and integrate real time 3D content in a 3D or hybrid 2D/3D software user interface. KUESA™ is available for both embedded or desktop applications. Hand-made workflow: the designers create videos of the scenes and the developers recreate them in code, leading to lots of communication overhead, misunderstandings and suboptimal results. External tool workflow: the designers and developers work on a common tool for editing the scene for integrating into the application limiting both to the constraints of the tool and creating a black box which provides little control. The workflow is based on the glTF™ (GL Transmission Format) format designed by the Khronos Group, a royalty-free specification for the efficient transmission and loading of 3D scenes and models by applications supporting vendor extension. 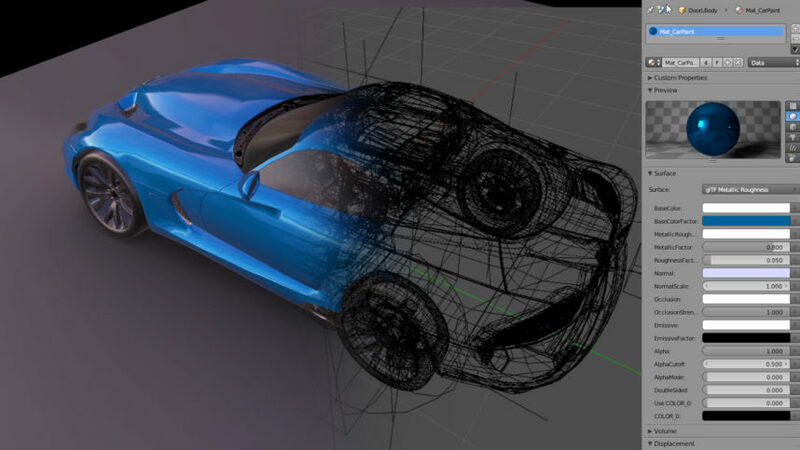 KUESA digital content creation (DCC) plugins 3D application plugins used by the designer to create the 3D scenes, and ultimately export them to glTF™. KUESA tools A collection of utilities used by designers, developers or integrated into a continuous integration system for previewing, conditioning, sanity checking and optimizing assets. KUESA runtime A set of libraries on top of Qt and Qt3D used by the developers to integrate the scene in the application. Provides a high-level API as well as a full control of the 3D scene. KUESA is based on top of PBR (Physically Based Rendering) materials which approximate real world physics in real-time with a photo-realistic result. 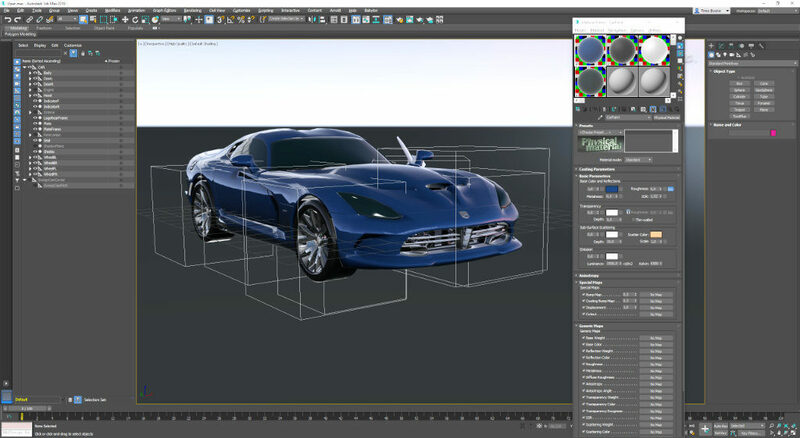 The materials used in the 3D design tool and the engine are the same, so the result will look alike in both applications. Once the scene is exported, the designer can use KUESA tools like the asset pipeline editor to preview and sanity check assets. KUESA is easy to integrate into any 3D or hybrid 2D / 3D Qt application. Developers are free to use either the C++ or the QML API and can access all the internals of the 3D scenes from the code – opening the way to all kinds of improvement ranging from adding special effects, user interactions to creating an optimized frame graph for a specific board. tQCS Inc. is a leading provider of comprehensive embedded software and hardware solutions from Northern Europe via localized consulting excellence. Combining technology, solution and consultancy, we are able to provide customers with the leading-edge applications and services that are easy and competitive to use. KDAB’s experts can not only support you to get started with KUESA through on-site trainings and workshops, but also integrate, customize and optimize the workflow and code for your application.